At Duppal, we believe that a successful collaboration tool depends on more than mere technology. Instead of fixating on technical requirements, we look at user behavior and needs. We focus on people and the outcome of the tool in daily work life. Because it’s not the technology that will make a tool successful: it is the way the tool is used that makes the difference. In all of our activities, we strive for smart collaboration: teamwork that is supported by functional tools that are used to their full potential by the end users. Smart collaboration is about making working lives easier, increasing productivity and reducing stress. When implemented and adopted successfully, smart collaboration brings your business more fun and productivity in remote teamwork. Duppal is a vendor of several cloud collaboration tools. We have thorough experience with multiple technologies, so we’re able to advize you on your complete range of UC tools and interoperability. We are happy to help you get the most out of your collaboration tools. We are a small and innovative agency that goes to great lengths to find a solution to every communication issue. In close collaboration and with a combination of extensive know-how and pleasant partnering, we aim to maximize joy and productivity in daily work life through smart collaboration. Curious to get to know us and our services? Get in touch so we can talk over a good cup of coffee! 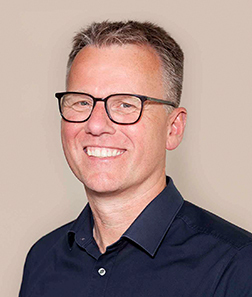 Sven Lagerweij has been active in the Unified Communications industry for over 15 years, first at Sony and after that as Sales Manager and Managing Director of Talk & Vision (European provider of videoconferencing solution). Sven played an important role in the fast growth of the company and the acquisition by KPN in 2009. In the years after he was a consultant, supporting organisations with the successful implementation of collaboration tools. 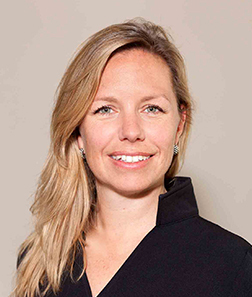 Begin 2015 Sven founded Duppal, with the objective to provide (cloud) collaboration tools and to secure these tools are actually used by the employees. With this combination Duppal has an offering a lot of organisations are currently looking for. 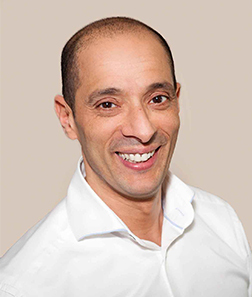 Brahim Radouane joined the Unified Communications industry as Sales & Marketing Manager at Talk & Vision after a career in the telecommunications market (Telfort, Easynet). Brahim has the ability to connect the technology and the actual business value for organisations. His broad experience with both the tools and the various applications for videoconferencing, webconferencing and social business tools are very valuable for the customers of Duppal. Brahim and Sven are co-owners of Duppal.